This past November, I escaped the gloomy midwest for the Oregon coast. 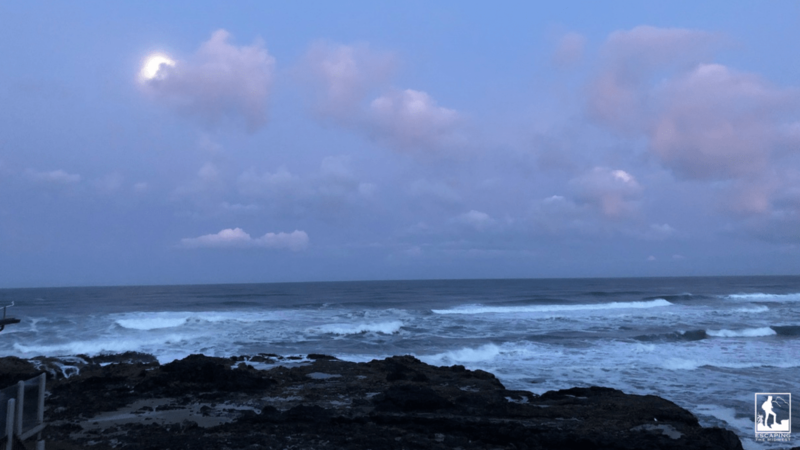 My family and I spent the week in Yachats (pronounced yah-hots), a small town that’s a little over three-hour drive from Portland. There is also a small grocery store in town, as well as a post office, hardware store, ice cream shop, Dollar General, a local historical museum (the Little Log Church), and library. There are also a few speciality stores, antique shops, and thrift stores in the area. I loved this welcoming sign outside Yachats Brewing. In fact, I had seen a few of these signs in and around the area. 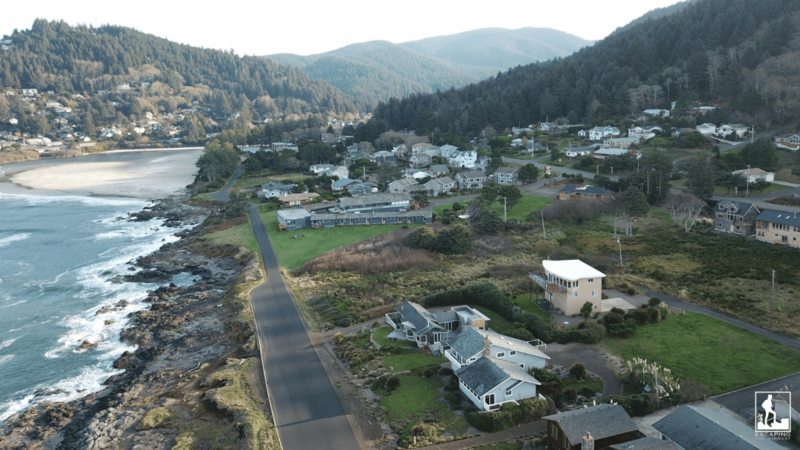 My husband flew a drone near town and got a few beautiful shots of Yachats and the coastline below. The weather on the Oregon coast seemed to change quite often when I visited. You can experience clouds and rain and yet minutes later, the sun is out! There also were some very dramatic cloud formations likely due to the Pacific trade winds. 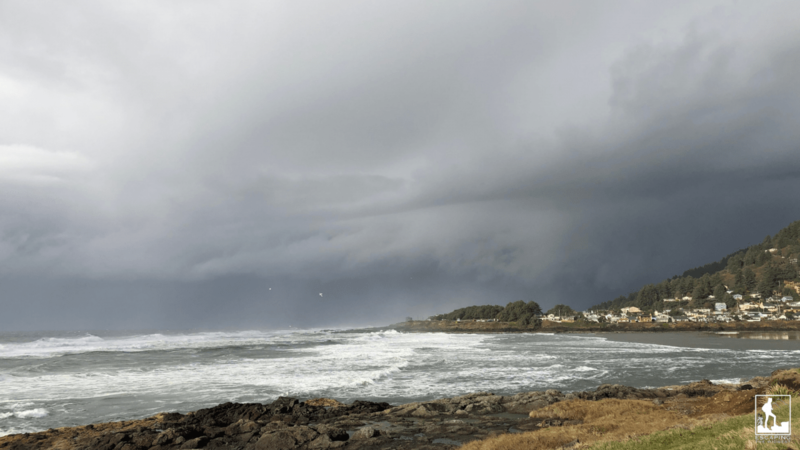 A storm on the horizon in Yachats. Yachats Ocean Road State Natural Site is a shallow beach area where the Yachats River meets the Pacific Ocean. 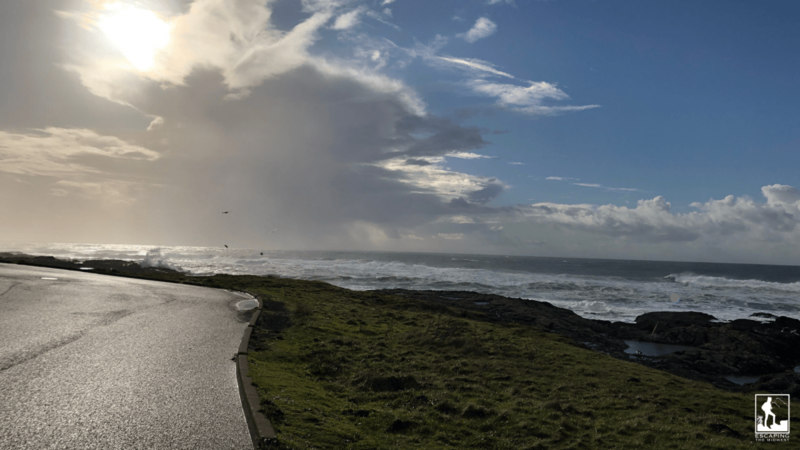 Ocean Road makes a scenic one mile loop to showcase the Yachats coastline. Popular activities here include fishing and picnicking. The large sandy area that is Yachats Ocean Road State Natural Site. 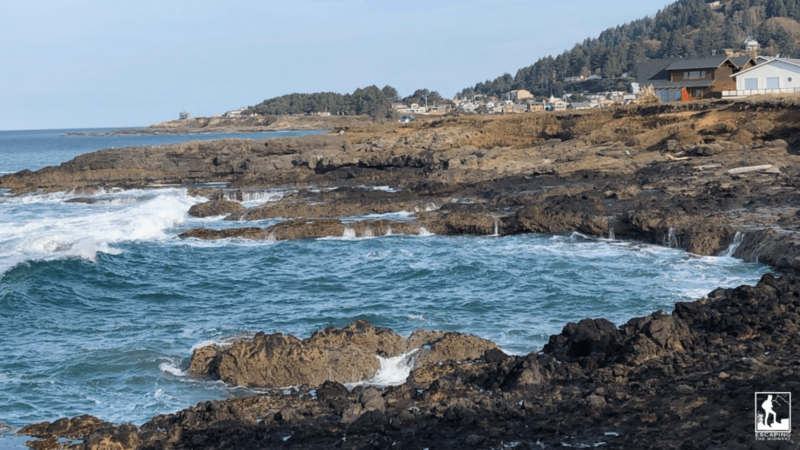 Photo taken from Ocean Road, the one mile road that showcases the Yachats coastline. 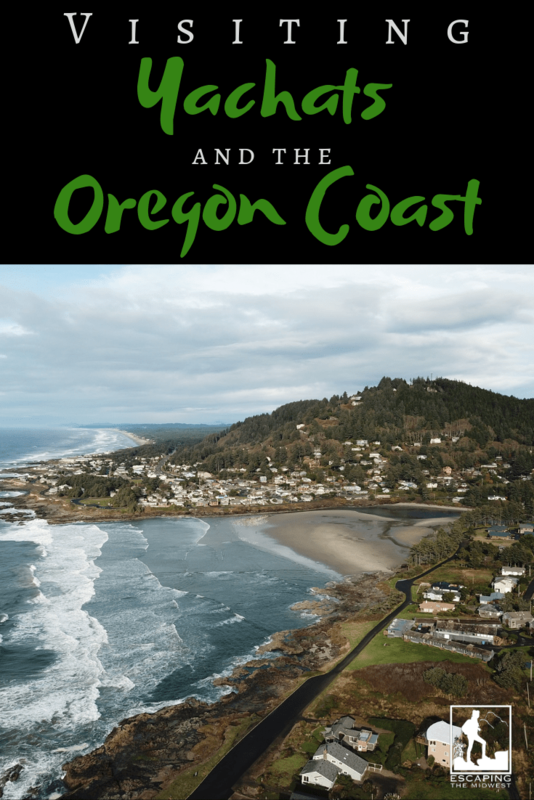 This scenic area lies just south of the town of Yachats and encompasses a large area of both beach and forest. 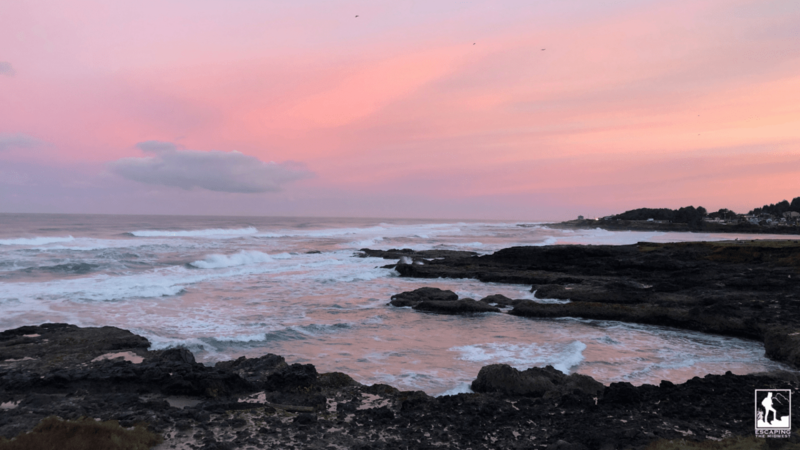 There are numerous hiking trails here as well as ocean viewpoints like Devil’s Churn, Thor’s Well, Cook’s Chasm, and Spouting Horn. More prominent during high tide, you can view these natural wonders in the water from an observation point on highway 101 or hike down to the shore. Be sure to check out the Cape Perpetua Visitor’s Center to receive your day pass ($5 fee) and get maps and information about the area. Get an incredible view by hiking or driving up to the top of Whispering Spruce Trail, where you look down on the coastline from 800 feet up. 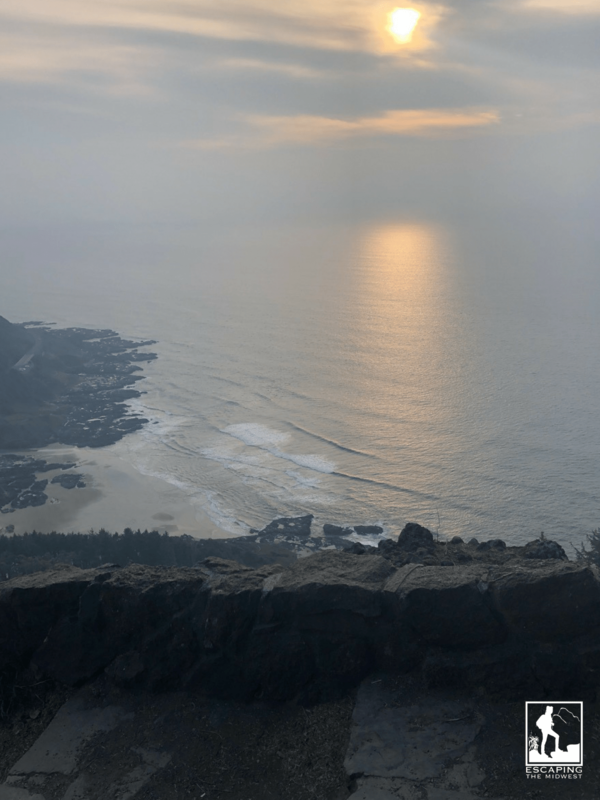 For a look at the Cape Perpetua hiking trails, click here. This scenic area is actually a series of four scenic spots along Highway 101. 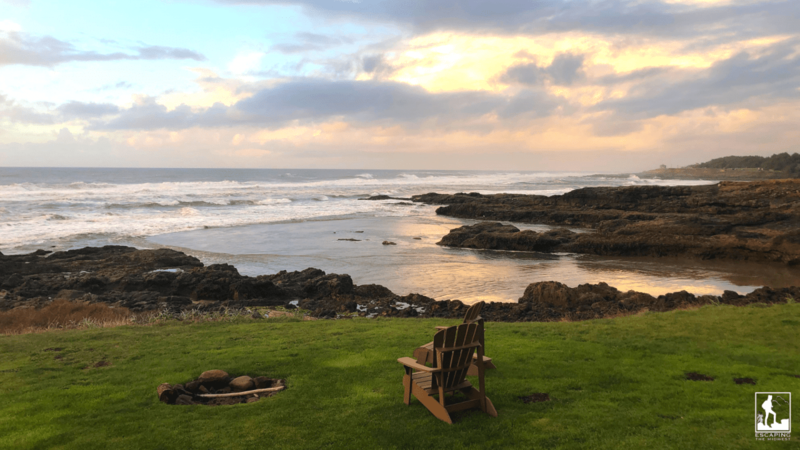 All sites feature access to the beach, tide pools, and amazing scenery. 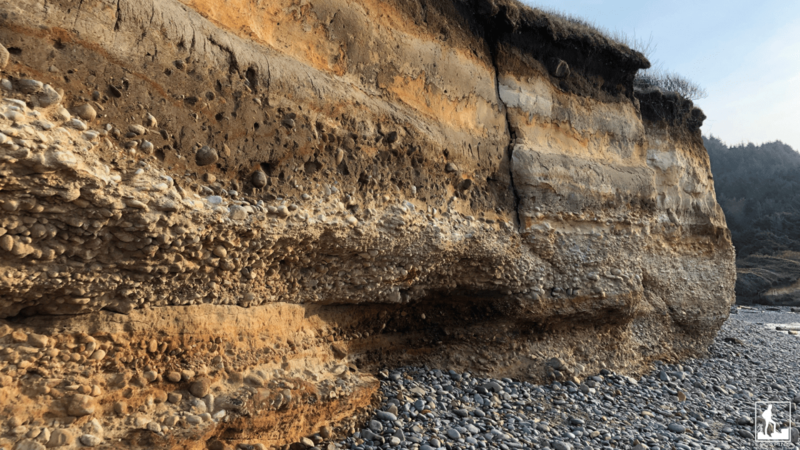 The exposed earth and its varying strata are visible on the beach at Neptune State Scenic Viewpoint. You can find this recreational area at the end of Ocean View Road. With a few benches, a platform overlook, and tide pools to check out, it’s a great spot to visit that’s right in the heart of town. The Oregon coastline near Yachats is a wondrous sight. 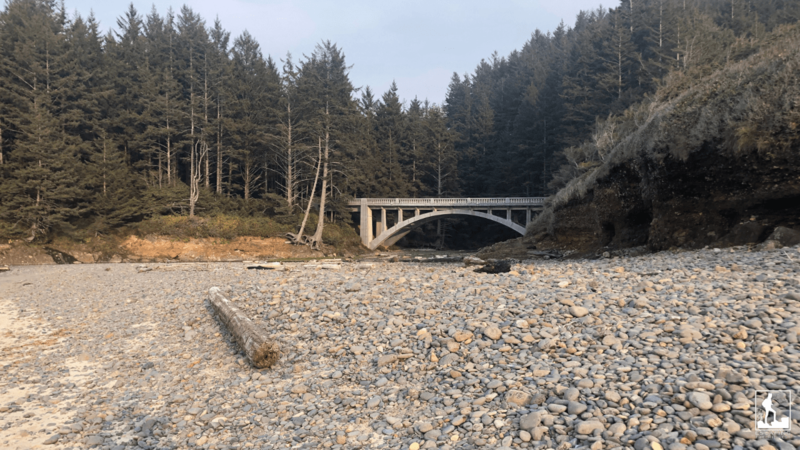 Be sure to take time to check out other things to do in Yachats, including the Heceta Head Lighthouse, the Yachats River Covered Bridge, and the 600 year old giant Sitka Spruce tree at the end of the Giant Spruce Trail (at Cape Perpetua). 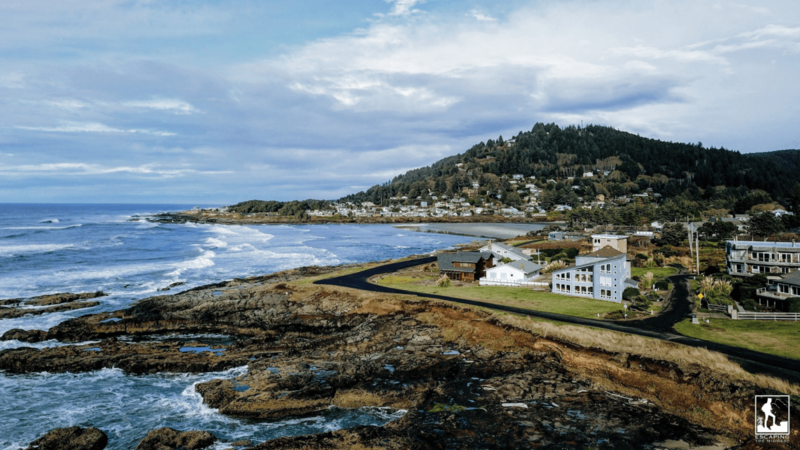 The friendly people of Yachats fully embrace the beauty of their home and hope others will do the same. The Oregon coastline is a wonder. With its rocky shores and crashing waves, smooth rock and serene tide pools, you can experience many variations of nature, from the rough to the calm. Tide pools are in abundance on the Oregon coast. Smooth rock at the seashore. Be sure to embrace the beauty of the surroundings when on the Oregon coast. You could easily spend days exploring the natural wonders that the ocean and the shore can bring. 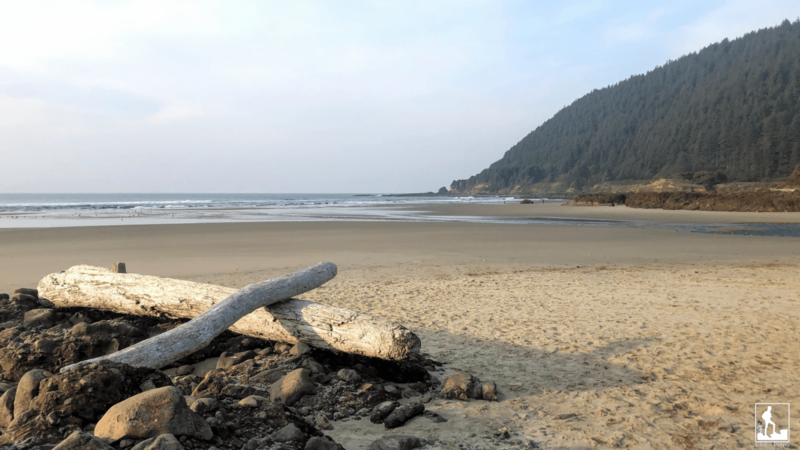 Where are your favorite places on the Oregon coast? Let me know in the comments.